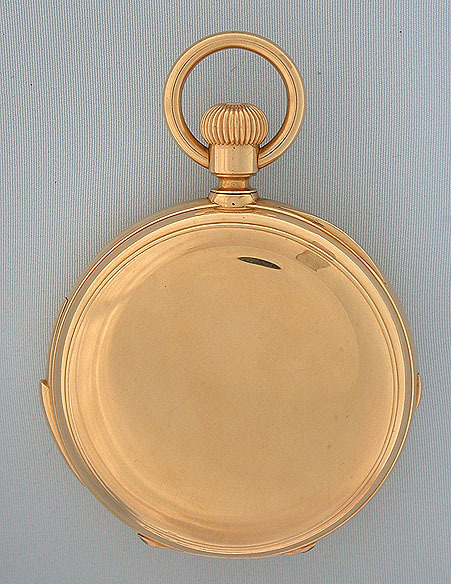 Fine Swiss 18K gold minute repeater moonphase perpetual calendar chronograph by Henri Robert Ekegren circa 1880, probably the former property of Russian nobility. 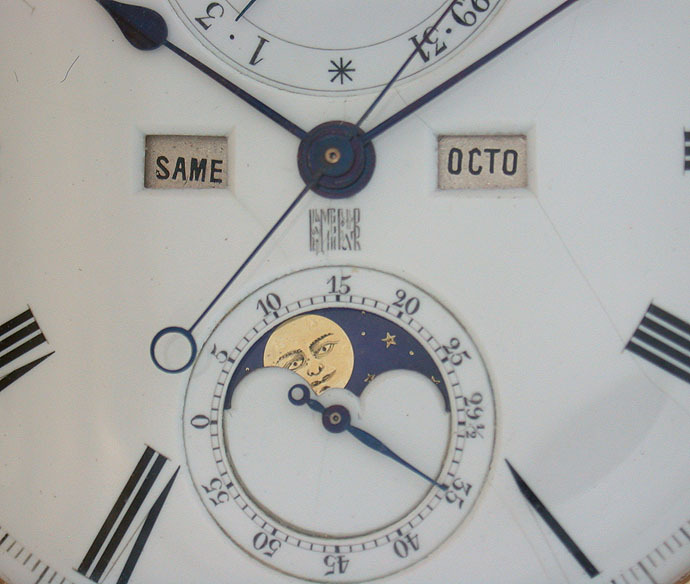 White enamel dial (light hairlines) with black markings and blued steel hands. Subsidiary indications for day of the month and running seconds and apertures for day, month, and phases of the moon. Small cyrillic signature above the moon dial. 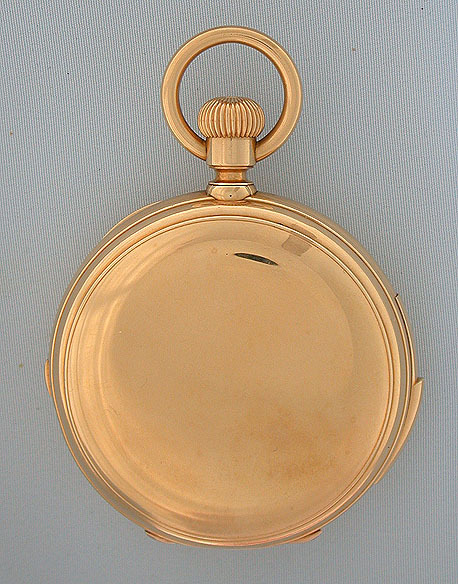 Plain polish heavy gold case with slide in the band to activate the repeater and button to activate the chronograph. The dust cover with a beautifully engraved coat of arms. 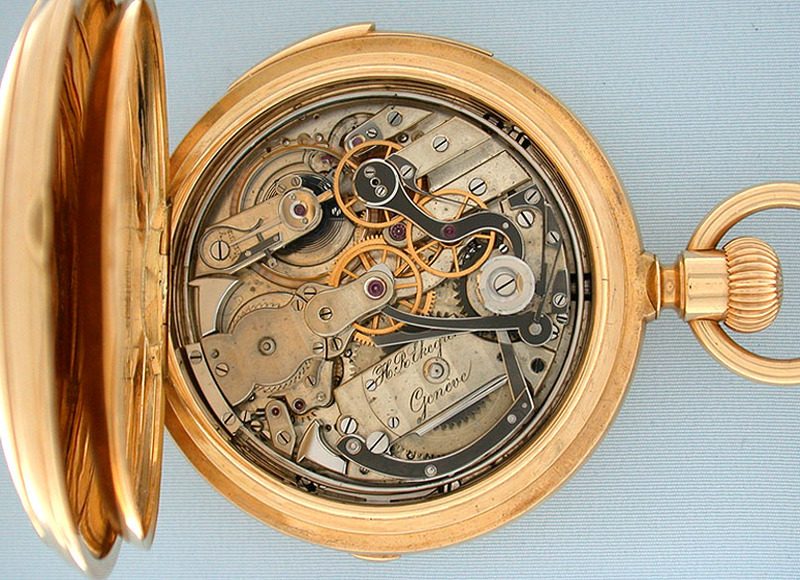 Fine nickel 26 jewel movement with wolf's tooth winding and precision regulator. When the cover is closed it trips a button in the band by the setting lever which returns the watch to the winding position. Unlike simple calendar watches, this mechanism "knows" the number of days in each month and also accounts for leap year. When activated, this watch chimes the exact time using different chime tones to designate the hours, quarter hours, and minutes with loud clear tones. The coat of arms is the emblem of the Chernigov Governate, a territorial unit of the Russian Empire. 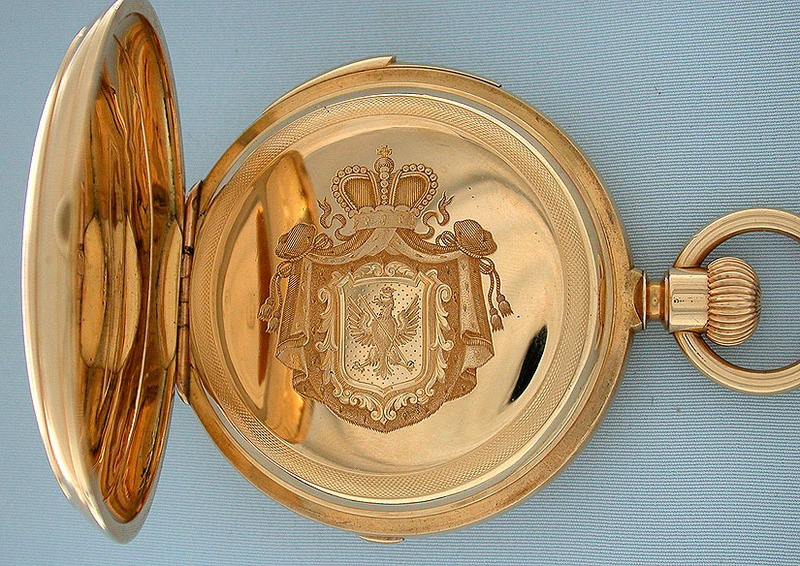 It can be assumed that this watch was the property of IIryhorii Myloradovych (1839 - 1905), historian, genealogist, Russian count and lieutenant general. He was marshal of the nobility in the Chernigov Governate. 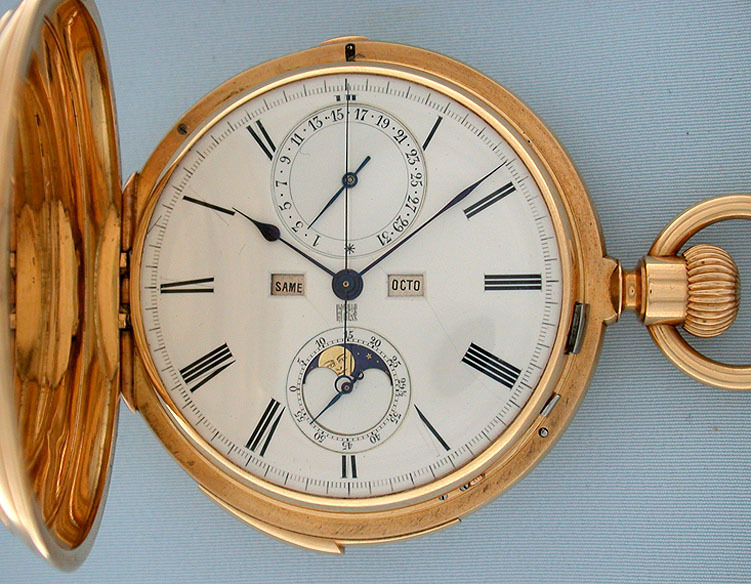 Henri Robert Ekegren (1823 - 1896) was a renowned Danish chronometer maker and watchmaker to the King of Denmark. 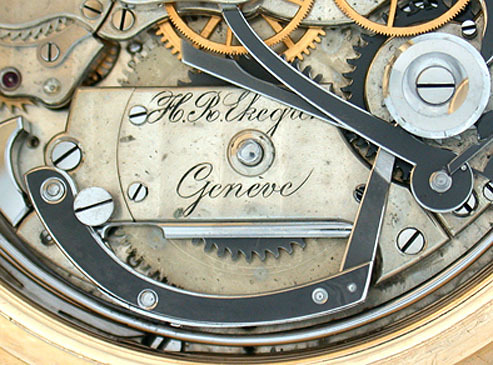 Prior to establishing his own business in Geneva he worked for Urban Jurgensen, Henry Golay and Adolph Lange. He was the winner of the chronometry competition in Geneva on numerous occasions and was awarded gold medals in several Universal Exhibitions.